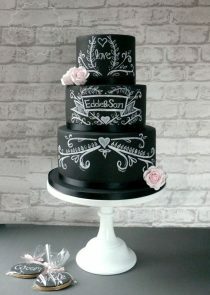 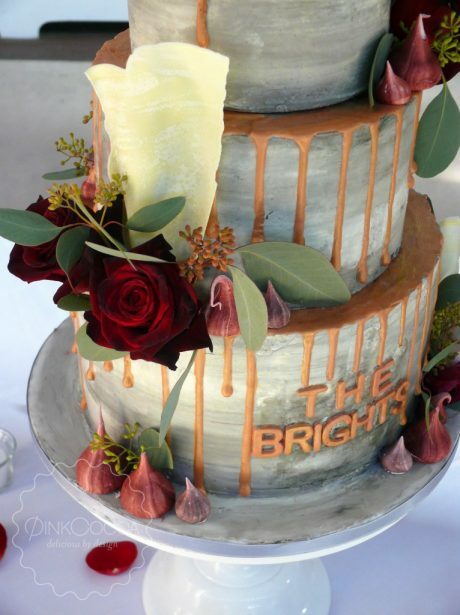 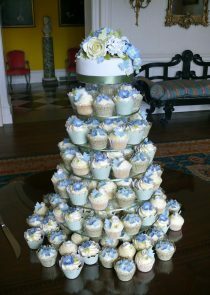 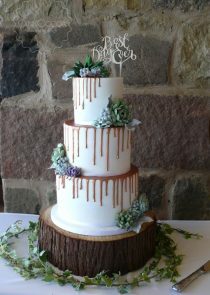 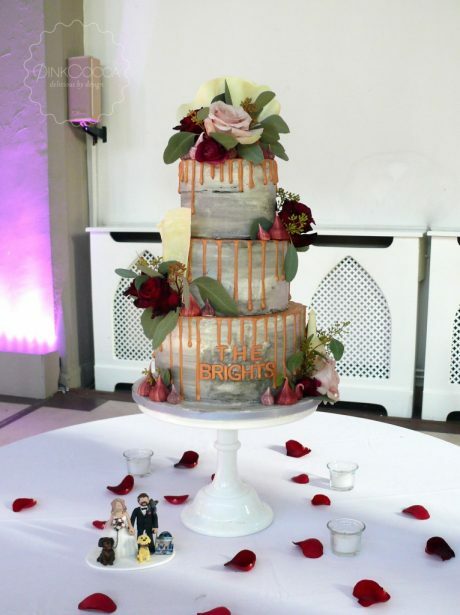 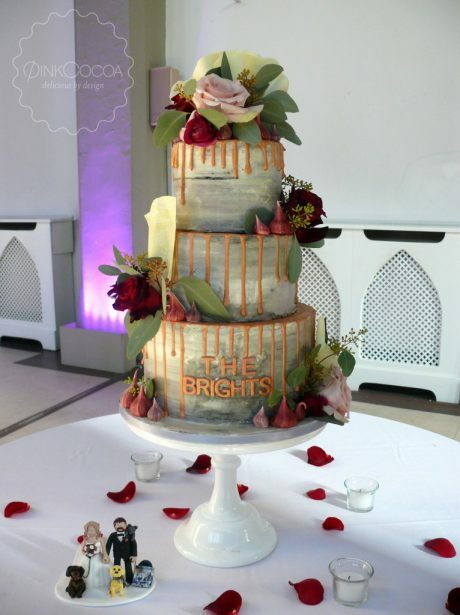 Beckie and Paul, ‘The Brights’ choose this on trend drip design for their wedding cake. 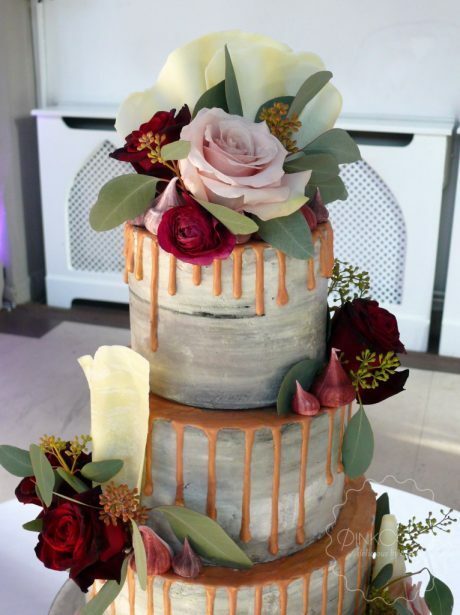 With grey buttercream , white chocolate shards, deep burgundy colour meringue kisses and beautiful roses from The Rose Boutique. 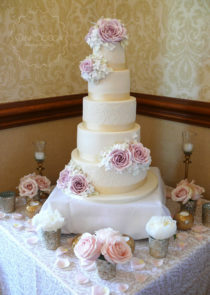 5 tiered ivory cake with roses and hydrangeas.